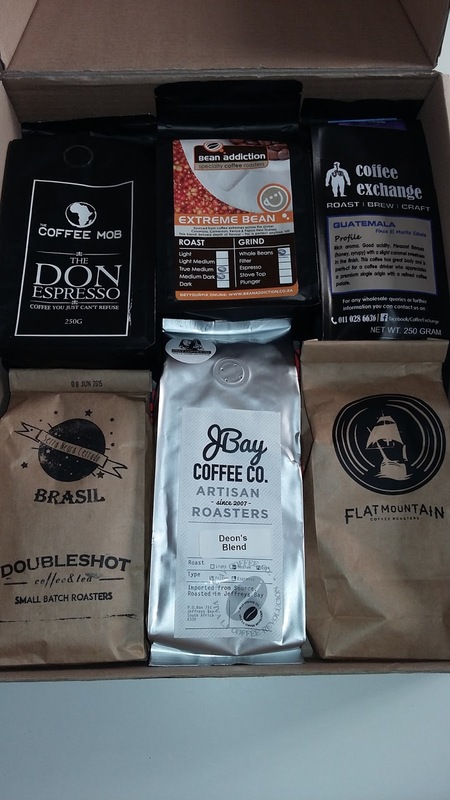 Honestly, a few days ago, when this amazing box was delivered to my door I was a little overwhelmed. I knew Tasha was sending me a sample of her awesome Fudge to test out, I did not know that I was about to have it for breakfast for the next week straight. Not that any of you know that, little secret lol. Don’t worry I am already signing gym memberships. Opening the box with absolute excitement, I was pleased to find, not one but two amazing Fudge Hampers, a Large Slab of Fudge and a Slim Box of Buttermilk Fudge inside. 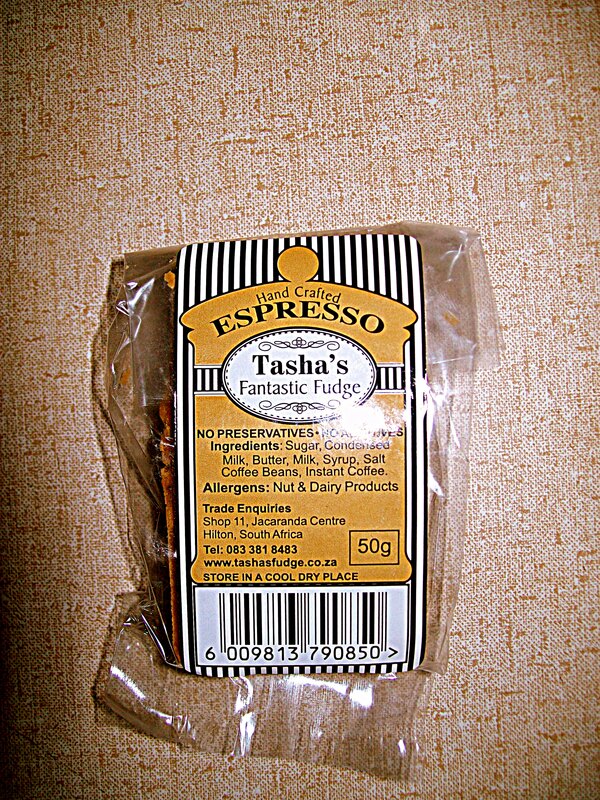 Not only is Tasha’s Fudge one of the top and leading Fudge Brands in South Africa, but her fudge is to be treated with the up most care. I managed to pretend that I was not going to dive straight into the box for about 2 hours, while taking some photo’s. After that it was game over. Now we’re adults and Tasha is not only giving us all the fudge we want but she is making it in different flavors to suit our individual needs. To be honest had you offered me some Strawberry and Cream Fudge I may have looked at you a bit funny and asked if there was any medication you hadn’t taken on that particular day. However once, I’d gotten into the Peanut Butter and Chili Fudge, there was no turning back. Tasha’s Fudge didn’t just pop out of the blue one day. It took a very special lady, and a bit if advice from Grandma to create this now Award Winning Business and Brand. Tasha is a leading women in the South African Industry, having collected various awards over the years. When I emailed Tasha to thank her for the amazing package, and to ask her, if I should split mine between the chosen Competition Winner, and I? Tasha told me to share one of the hampers, with friends, family and or people I liked, and loved. To gift is a very selfless act and those who do it naturally are very special people, that we need to take care of, so South Africa, here’s me looking at you, reminding you to take care of Tasha. It was her reply that made me smile the sweetest of smiles. 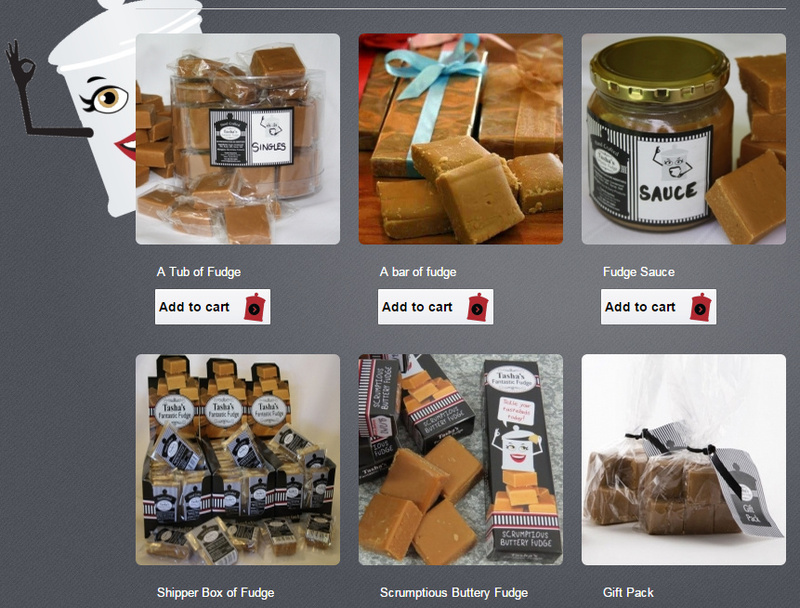 I suddenly realized just why Tasha’s Fudge has and is taking the world by storm. Its simply really. Its the woman behind the Fudge, its Tasha. What a lovely, happy, friendly, kind soul. And as they say when cooking, you need to cook with love, to poor your heart into your food. I am under the assumption that this is most certainly why Tasha’s Fudge is the best. 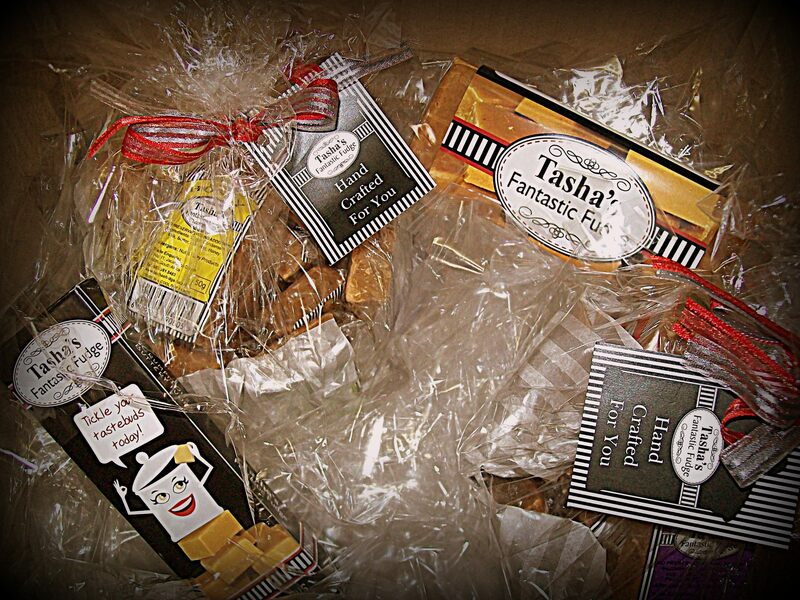 You can choose between all of Tasha’s amazing Fudge on her website. 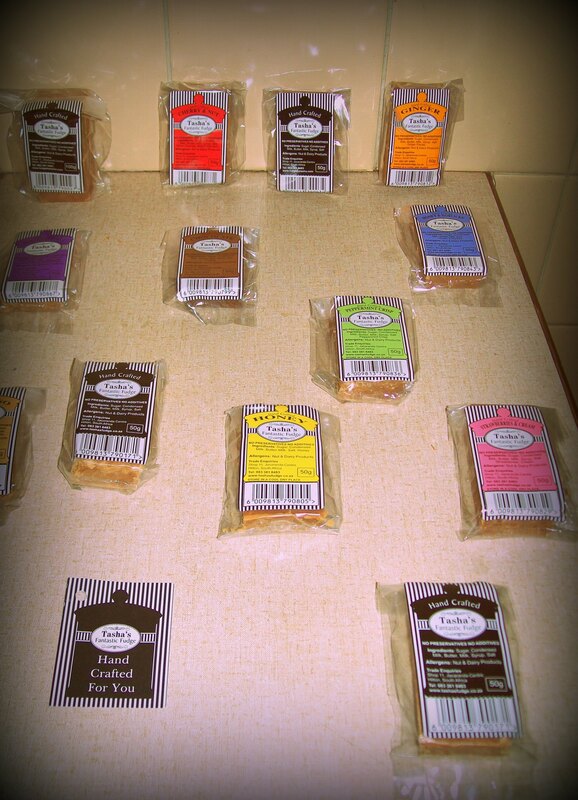 Ranging from the Original plain fudge, to the Flavored pieces, and Tasha’s Fudge Sauce. I know don’t even get me started on that last one. On the site is recommends you add it to ice cream and desert dishes, you know we’ll all end up watching some Julia Roberts movie, with a spoon and our jar of Tasha’s Sauce. Speaking of gifting, Tasha does do corporate gift packs and make to order. Since we’re approaching Christmas season and everyone loves Fudge, I suggest you contact Tasha as soon as you can to get your orders in. and yes, Tasha’s Fudge has the Halaal stamp of approval. And as mentioned because Tasha and her team, love us all so much, Tasha has kindly sponsored a Hamper to Giveaway! Entrants may tag both accounts with the Hashtag #SweeterThanFudge on twitter, with Photo-Tweets to qualify for extra chances of winning, and leave Blog comments in the below comment box. Photo’s must be #Sweet Themed. Example, your baby doing something sweet, someone helping an elderly person across the road, your boyfriends surprise gift or even new born wildlife -Image must be taken in South Africa. I have wanted to make a coffee cake for quite some time now and yesterday was the day I finally made it. The first book I looked in and my favourite and most used recipe book had a recipe for coffee cake. Neil and I are coming up for our 21st wedding anniversary in August this year and we received this recipe book from an aunt and uncle of his. The recipe book is by Lynn Bedford Hall and is called “Best of Cooking in South Africa”. There are recipes in this book that I make often as they are so delicious. One of Neil’s all time favourites and my daughter’s as well is Lemon Pork Chops with Mustard Sauce (we actually had it last week). My Christmas cake is made from the Favourite Fruit Cake recipe and we also love her Spiced Pumpkin Soup. I love this book so much that I buy copies of it from the SPCA bookshop so that I can give it to friends that do not have it or know about it. I just gave a book to the mother of my son’s friend when I collected him from school after his exam this morning. I don’t have any more copies left after that so I better keep an eye out for more the next time I am at the SPCA. Anyway! Let’s get back to the making of the coffee cake. I had never made this recipe from the book before but I wasn’t worried as I have never had a failure with any of her recipes. The recipe I used is her “Beat and Bake Coffee-Pecan Cake”. I did not add any pecan nuts even though I did have some in the cupboard. The pecan nuts are destined for pecan nut pie, which I have not made in years. The flavours may be changed by omitting cinnamon, coffee and pecans and substituting 5ml vanilla or grated orange and lemon rind. Put egg yolks into bowl and add all the ingredients, except the egg whites, coffee, water and nuts, in the order listed. Dissolve coffee in water and add. Using an electric beater, mix on medium speed for 90 seconds. Fold in stiffly beaten egg whites and nuts. Pour into to greased and lined 18cm cake tins and bake at 180C in the centre of the oven for 30 minutes. Stand for 5 minutes, then invert onto a cake rack, remove paper and cool. 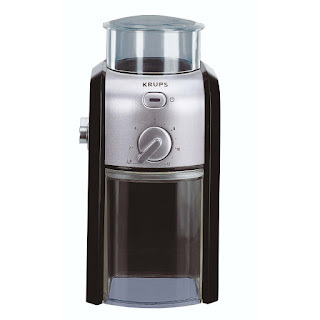 Dissolve coffee in water; add remaining ingredients and mix, adding a dash more water if necessary. Ice the coffee cake and decorate with pecan halves. This cake was quick and easy to make and I can guarantee that it is delicious as Neil had two slices last night after supper. Other Lynn Bedford Hall recipe books that I own are : “Scrumptious”, “Fabulous Food” and “Nice n’ Easy Cookbook”. Do you have a favourite recipe book that you turn to time and time again? I just don’t know what has happened with the days lately. Time is flying by at a rapid rate and there never seems to be enough of it to complete tasks. The saying of “running around like a chicken without a head” seems very apt to me at this moment. The last time I blogged was the 12 July and that is crazy! 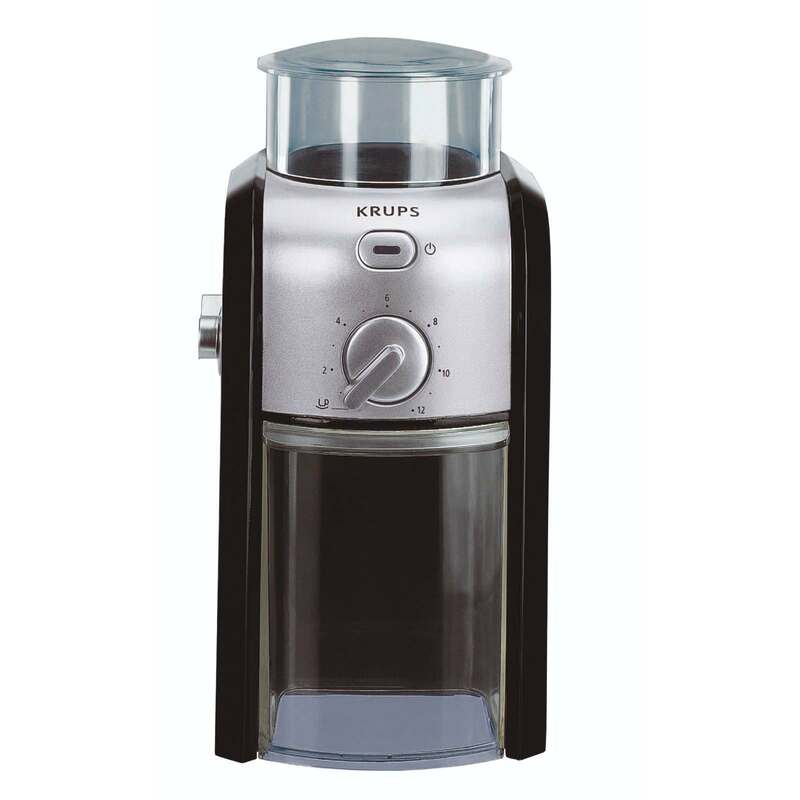 The big change in our coffee routine was that we purchased a coffee grinder, and what a change that has made. 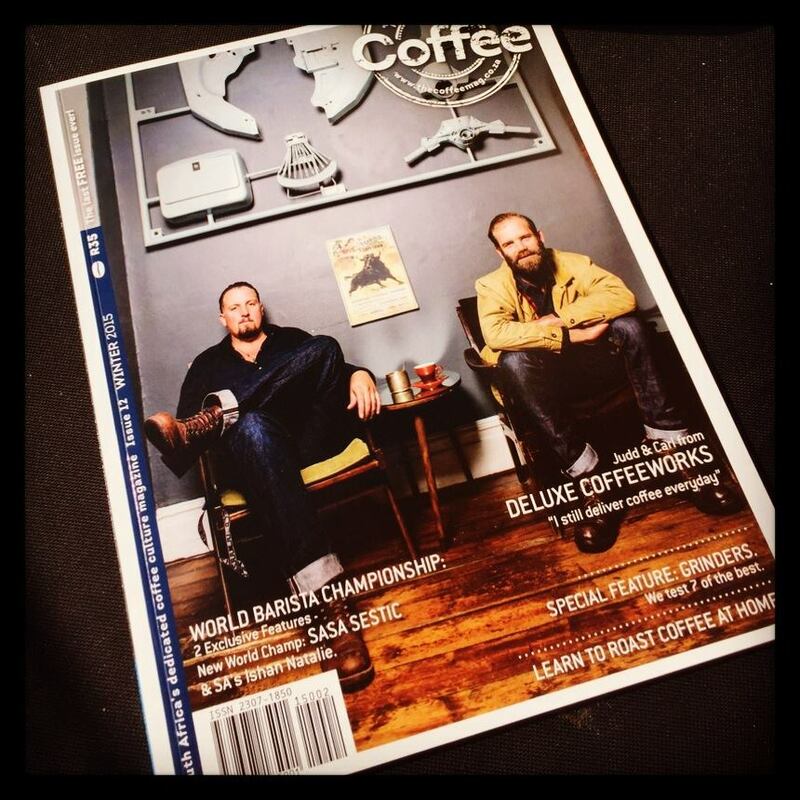 If you think that you are enjoying great coffee by buying it ready ground I can confirm that you are not! 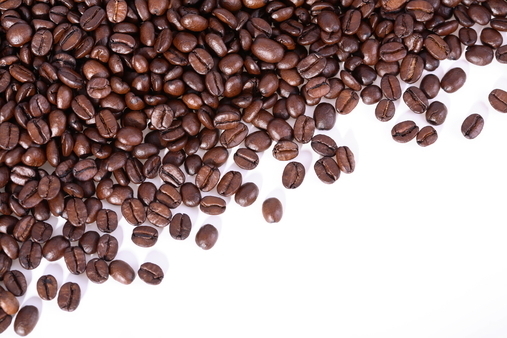 My friend Inge Loker gave us two bags of coffee beans and that was the driving force to buy a grinder. Firstly the smell of the freshly ground coffee is amazing and once you have brewed it and had that first sip ............ oh my oh my oh my. We also decided to branch out with our coffee drinking and bought coffee beans from the Coffee Magazine’s Discover Great Coffee Club. I just ground the last of the last packet this week and I think we will be buying the Spring batch next. The Spring batch has coffee beans from Terbodore Coffee Roastery and Bean There Coffee Company (that is just 2 of the beans). So if you are a lover of great (not just good) coffee you really need to buy yourself a grinder and coffee beans from the amazing local coffee roasters in South Africa. On Tuesday 2 June I went to the launch of Skinny laMinx’s new fabric range called Diggi Dot in Walnut Interior Fabrics at 111 Peter Mokaba Road Durban. 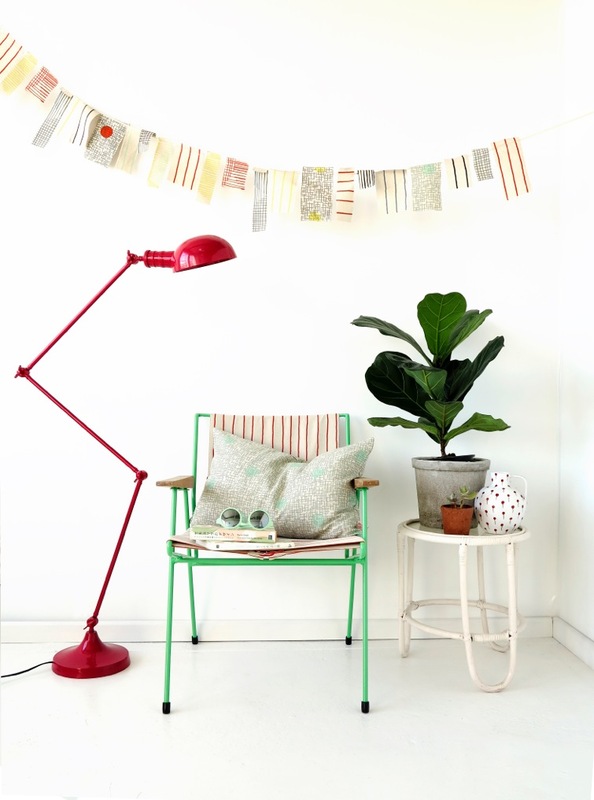 Heather Moore is the owner of Skinny laMinx, a self-taught illustrator and designer, who started the business as a hobby in 2006. 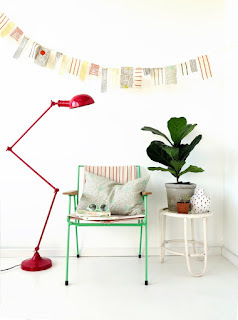 Now Skinny laMinx is to be found in stores throughout the world. “Last year, I went off to Jaipur at the invitation of Ritchie Ace Camps, to teach a three day course in pattern generation and design as part of a seven day experiential tour focused on traditional Indian block printing and dying techniques. My role was to teach how to design and create pattern using lino printing blocks. We stayed in a charming old hotel in Jaipur called Hotel Diggi Palace, where I taught my course at in the leafy poolside courtyard. While prepping for the trip, I did a lot of lino block printing in my studio, and found this method of generating pattern very exciting, because of the way the simplest shapes can generate endless combinations and variations, with just a shift of direction or colour. The result is the Diggi Dot collection, where the simplest block printed motifs - a line, a half circle and a dot – combine with the fresh, light colours of Jaipur and Hotel Diggi Palace. Heather explained to us about her fabrics and how they fit into her original range and even showed us by putting various fabric colours and designs together. 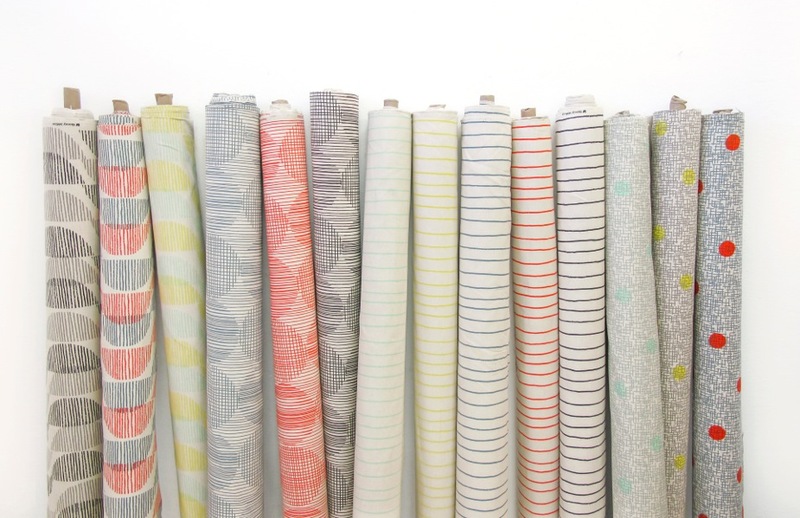 Her range, new and old, is so versatile and can be used in a baby’s room to a teenager’s room. 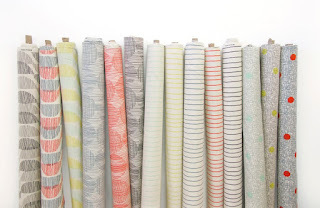 If you are Durban based you can also go and see the new Diggi Dot collection and Skinny laMinx’s other collections at Walnut Interior Fabrics. Thank you to Heather Moore for coming to Durban to show us the new range and to Walnut Interior Fabrics for hosting such a lovely morning.